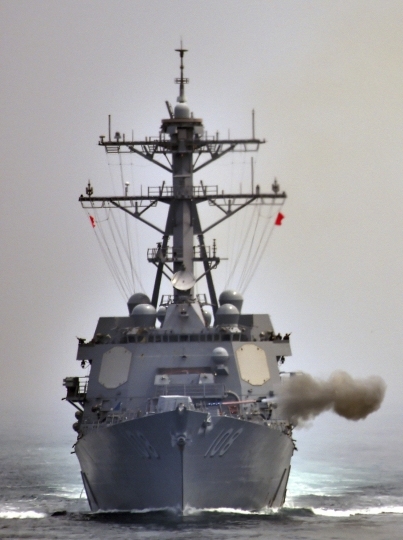 SINGAPORE — The United States and South Korea are scrapping another major military exercise this year, a Pentagon official said Friday, citing a push for diplomatic progress with North Korea. The top Pentagon spokeswoman, Dana W. White, said Washington and Seoul are suspending an air exercise known as Vigilant Ace "to give the diplomatic process every opportunity to continue." It was the latest move aimed at trying to nudge North Korea into negotiating about giving up its nuclear weapons in a way that can be verified. White said Mattis and his South Korean counterpart are "committed to modifying training exercises to ensure the readiness of our forces." "They pledged to maintain close coordination and evaluate future exercises," she said. She said Mattis consulted Japan's Minister of Defense Takeshi Iwaya on the matter and they "reaffirmed their commitment to regional security." 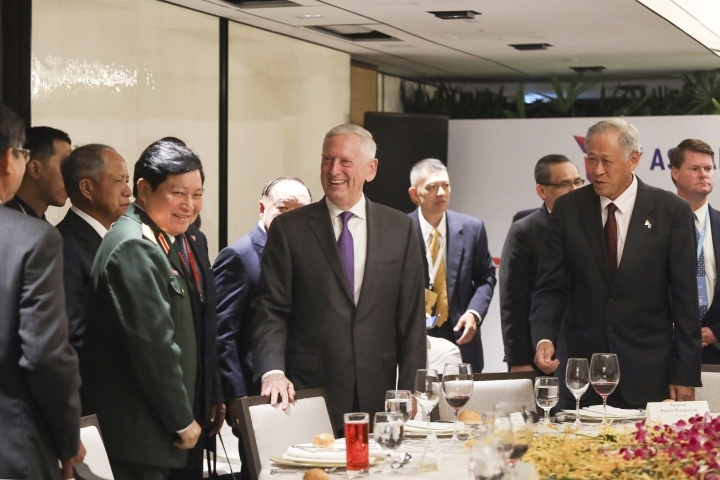 Mattis was in Singapore for a meeting of Asian defense ministers. On Friday he met jointly with his South Korean and Japanese counterparts and then met separately with the Japanese minister. In June the Pentagon canceled this year's Freedom Guardian exercise after President Donald Trump abruptly announced that he disapproved of what he called U.S. "war games" in South Korea. He called the maneuvers provocative and expensive. Trump made the announcement after meeting with North Korean leader Kim Jong Un. Last year's version of Vigilant Ace lasted about one week and involved more than 200 aircraft from the U.S. and South Korea flying from eight bases. The stated purpose, as with most such maneuvers between the U.S. and its allies, is to ensure that the two militaries can operate together effectively and safely in wartime and to deter an adversary like North Korea. Senior U.S. military officials have said they have ways of adjusting to limited suspensions of exercises with South Korea but that at some point the lack of exercising the procedures involved in commanding and controlling combat forces will erode their preparedness for war. The nominee to take over as the top American commander in South Korea, Army Gen. Robert Abrams, said at his Senate confirmation hearing in September the suspensions this year had contributed to a "slight" dip in combat readiness.